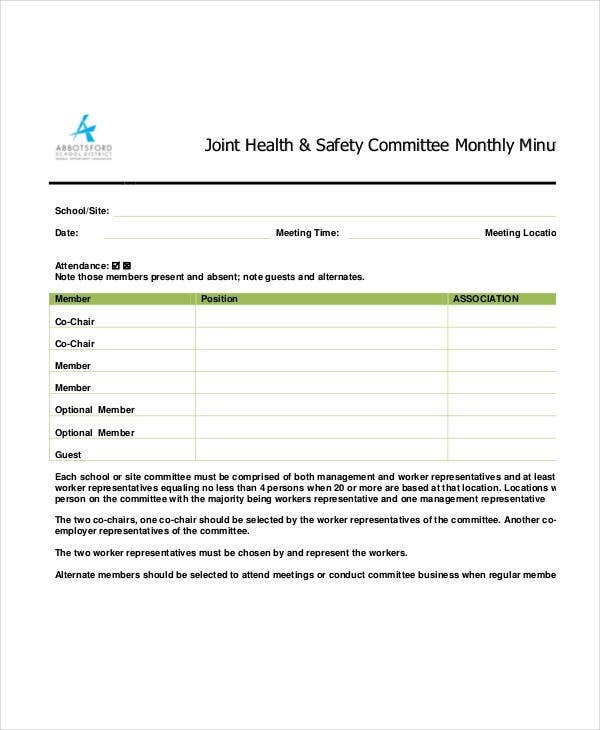 Here is one more in a series of posts for a Meeting Minutes Template, specifically designed for health and safety teams. 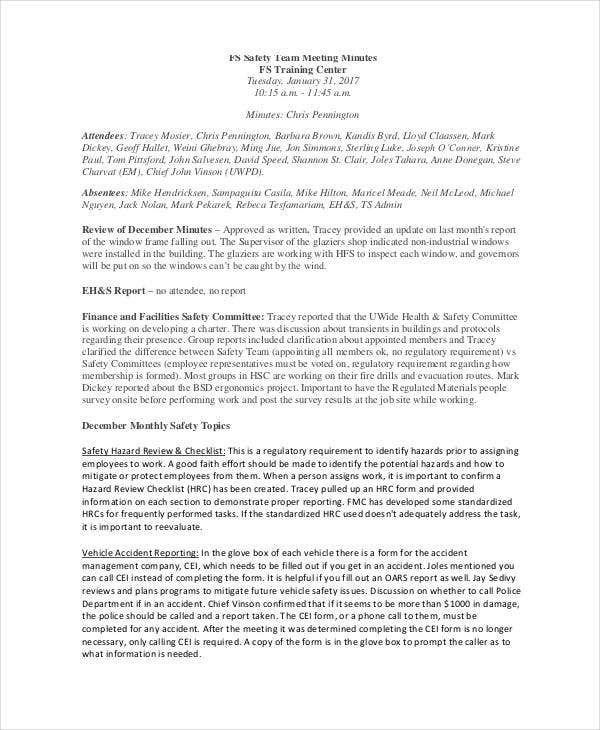 The people involved in these kinds of meetings are those within an organization responsible for the safety and security structure of a business as well as the well-being of the other members. 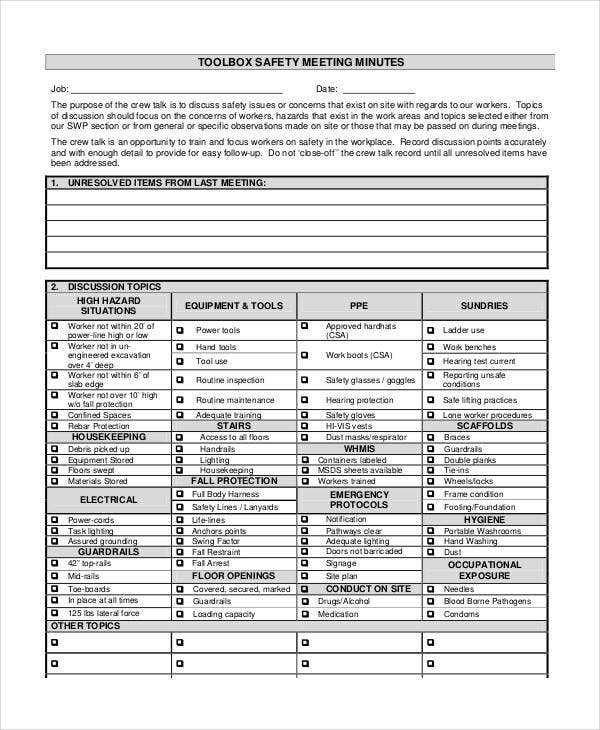 These free samples will give you in-depth insights of what types of topics are covered in a safety team meeting. 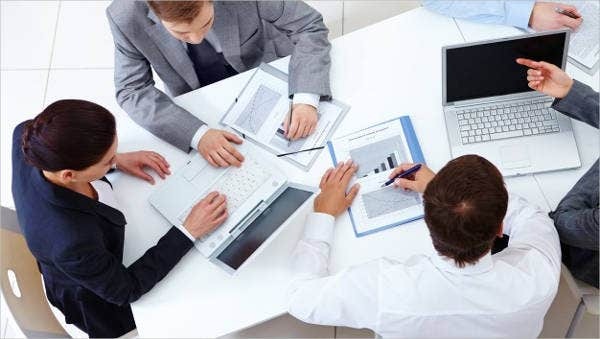 They will also give you ideas for layouts to organize the notes of similar meetings you will be attending or hosting. As always, these documents are provided free of charge. 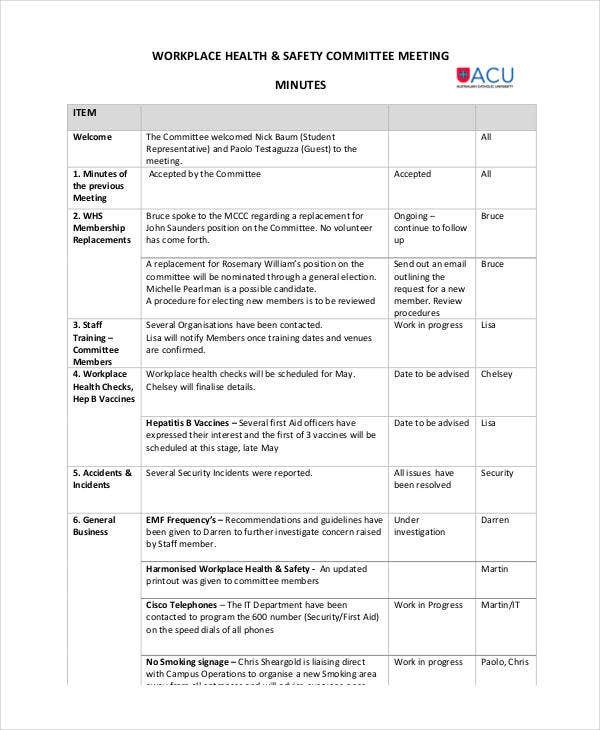 What Are the Minutes of a Meeting? 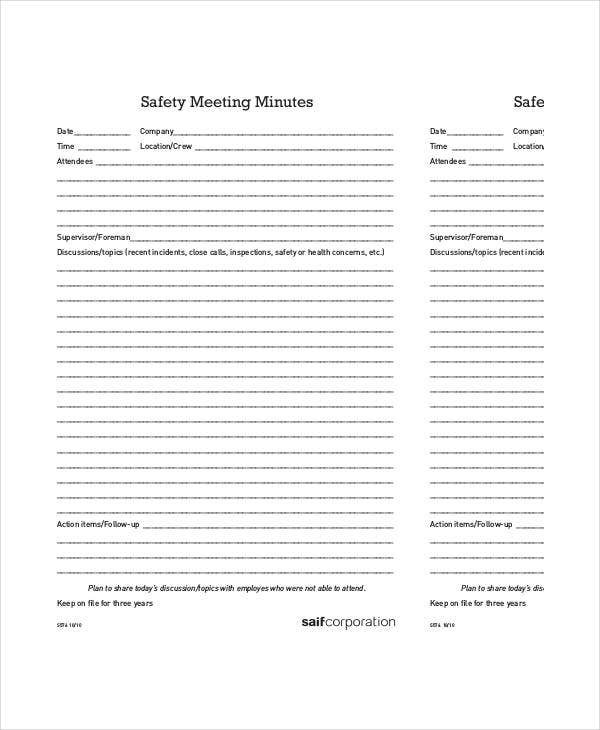 Since these minutes will likely be used as future reference to inform company-wide health and safety procedures, using a good Team Meeting Minutes Template will ensure you don’t miss out on any of the important points covered in discussion. 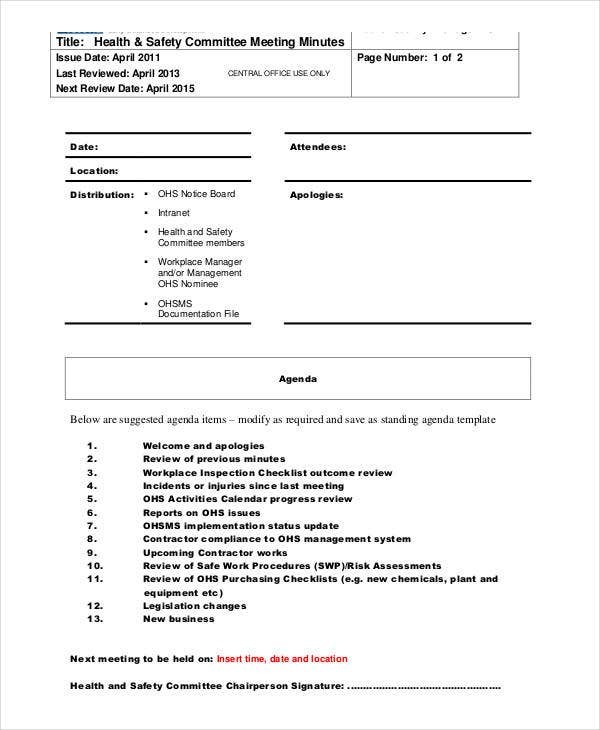 What Is the Difference between Meeting Minutes and the Meeting Agenda? 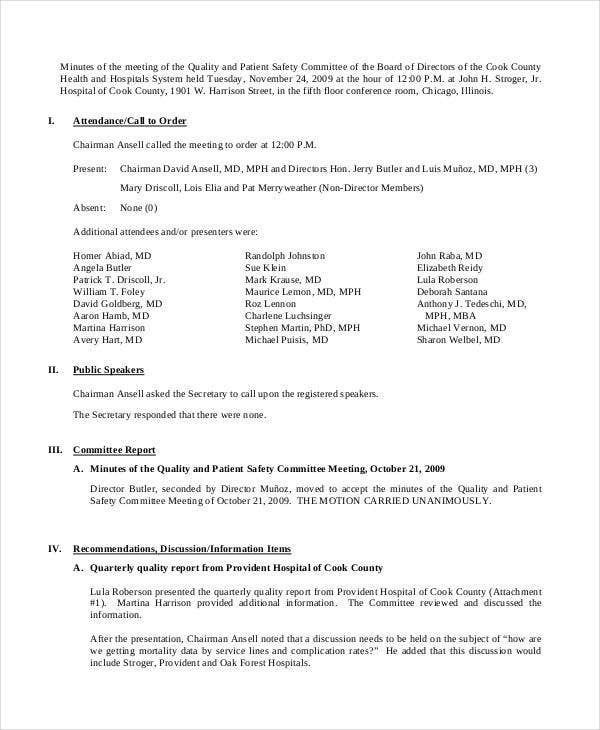 An agenda is merely the outline of the proposed meeting. 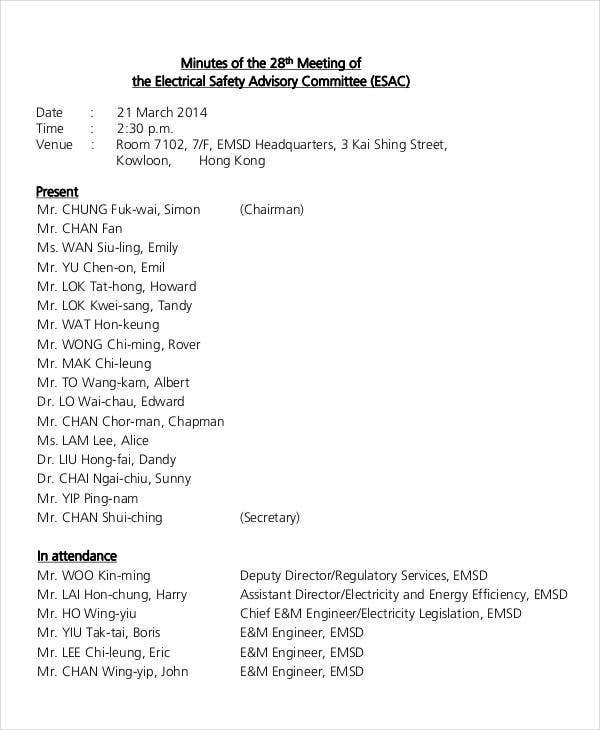 It will contain the list of issues and talking points to bring up during the meeting. The record of the actual meeting and how it plays out will be documented in the minutes. They will often also mention the agenda for comparison and to determine whether anything was missed. If so, another follow-up meeting may be in store. All meetings will have an agenda, whether on paper or in mind. But not all meetings will get minutes. Some meetings are ad hoc and low-key enough that you can waive off the need to keep detailed notes. 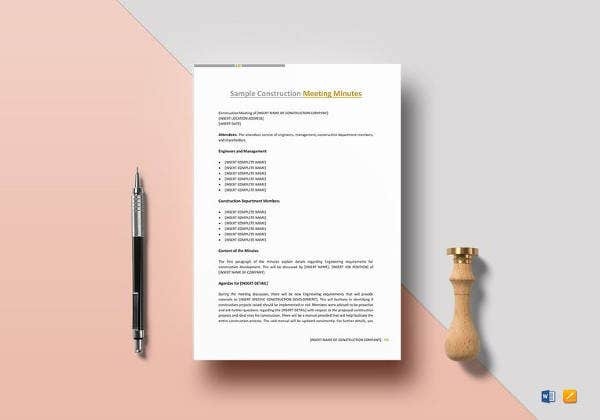 But when it comes to the big-shot meetings involving the key players and decision makers in the company, you better have a good Committee Meeting Minutes Template in front of you. 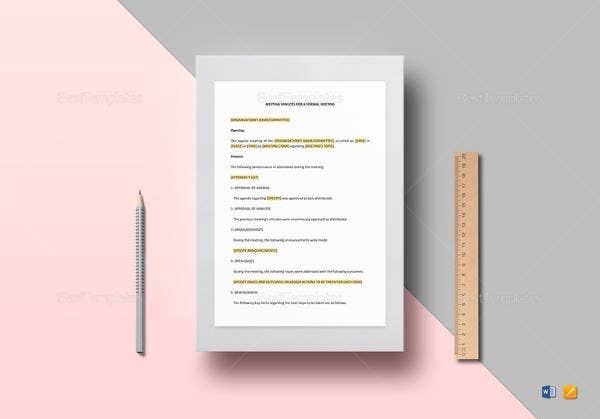 These templates should give you different ideas of an effective minutes layout. 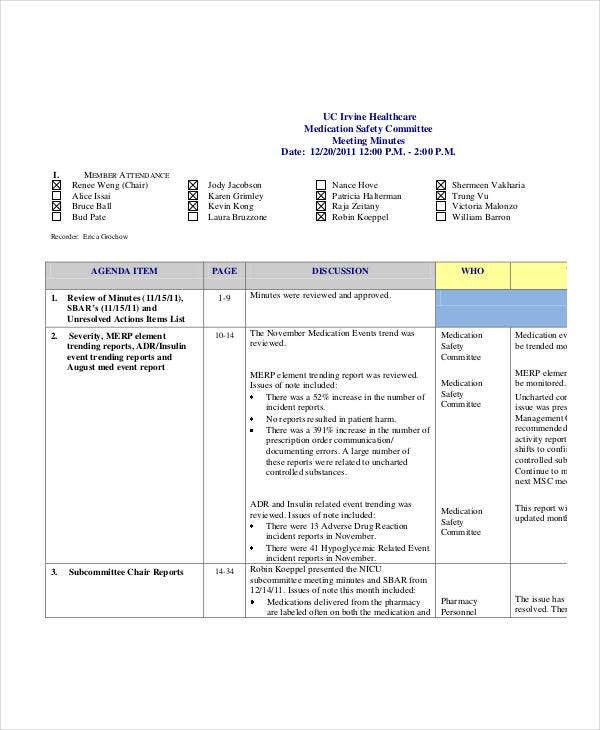 Some of them are completed samples you can download as free PDFs, and others will be blank templates you can base your own Staff Meeting Minutes Template on. Whatever format you go with, remember that these minutes have to be recorded well enough to be useful beyond the meeting. 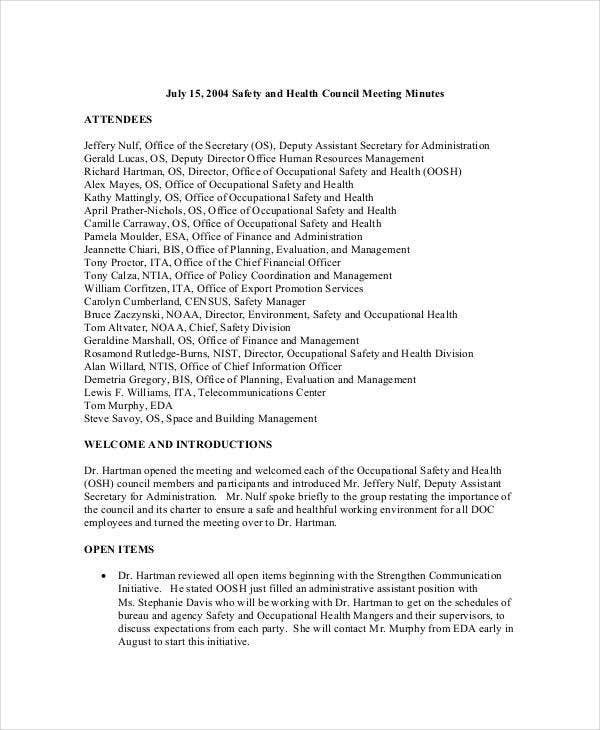 Most often, the results of such meetings will later be used to formulate the next safety and risk manual for employees. If you can determine every important aspect of a meeting from its minutes, you’ll know it’s a good one.